Hyundai no longer trails the competition in all things crossovers. Just a few years ago, the Korean automaker offered the compact Tucson along with two-and three-row versions of its midsize Santa Fe. 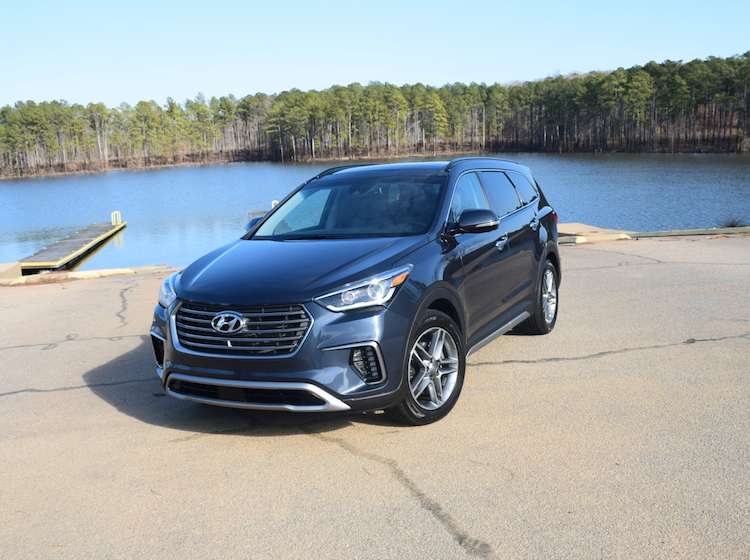 The 2019 Santa Fe XL is Hyundai’s roomiest crossover. This year, the automaker will double its SUV offerings when the large Palisade crossover joins the product line. Soon, Hyundai will offer subcompact (Kona); compact (Tucson); midsize, two-row (Santa Fe); and midsize, three-row (Palisade) models. The 2019 model year is the transition point between what was and what soon will be. The previous Santa Fe Sport was renamed the Santa Fe and redesigned. We reviewed that model here. As for the previous Santa Fe, it is still around and now sports a new name: Santa Fe XL. The XL allows Hyundai to buy some time as it readies the Palisade, its replacement model. Hyundai, of course, doesn’t want SUV shoppers to forget about its current 7-passenger SUV and that’s why one was sent my way early in the new year. 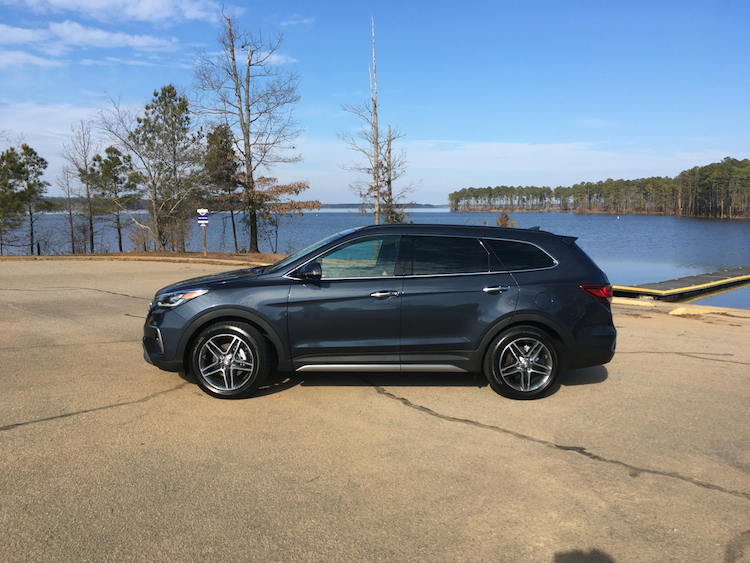 The 2019 Hyundai Santa Fe XL comes in just two trims: SE ($31,895) and Limited Ultimate ($40,595). Prices include the $1,045 destination charge. Add $1,750 for all-wheel drive. Other than the name change, the only other changes for 2019 involve packaging. Otherwise, this model is carried over for its final year. The Hyundai Santa Fe XL has one of the more wagon-like designs of any crossover available. Its silhouette suggests a tall wagon as its corners are more rounded and its profile free flowing. Up front, the familiar trapezoidal grille dominates and is flanked by upswept headlamps with LED accent lights. A smaller, lower grille opening and side pockets for the available LED fog lamps are also present. The look is at once elegant and sporty. The XL’s profile features a high beltline, a long roofline and the usual chrome and character line embellishments. Pretty wheel choices put the accent on style here. From the rear, the XL is adorned with a liftgate spoiler, wraparound tail lamps, and diffuser-like trim with a pair of exhaust ports. Standard features include automatic headlight control, heated side mirrors, roof rack side rails, and alloy wheels. Upgrades include a panoramic sunroof, roof rack cross rails, keyless entry, and a hands-free liftgate. The latter opens automatically as you approach the liftgate with your key fob present. Inside, the cabin seats six or seven, depending on the model. Our test XL Ultimate model was a six-seater with middle-row captain’s chairs replacing the standard bench seat. This arrangement ensures that every seating position is quite good, although legroom is a bit limited with the third row. The swoopy curves of the exterior are brought inside, but are more dramatic here. The dashboard has a layered look with sharp curves and a blend of soft and firm materials evident. Even the vents add drama with their wing-like shape amplifying the center stack. The driver’s seat is firm, yet comfortable. The XL has excellent sight lines and the controls are easy to find and decipher. If you can get by with six-passenger space, the captain’s chairs are excellent, rivaling the front seats in comfort. 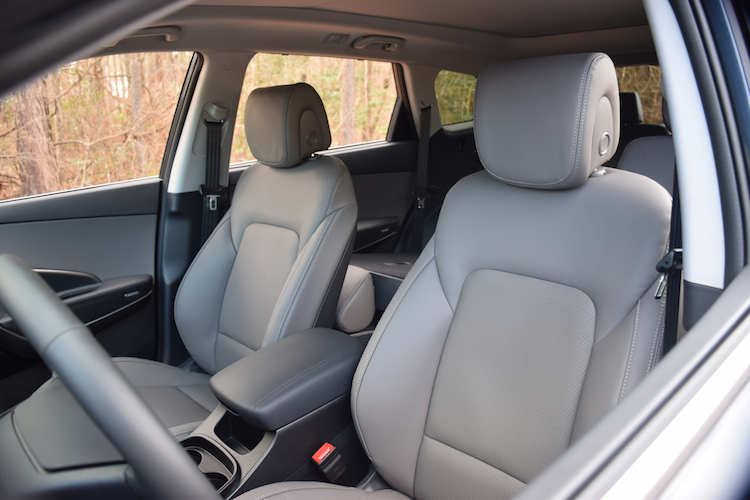 Standard features include cloth seats, a power driver’s seat with lumbar support, a tilt-and-telescopic steering column, and climate control. Upgrades include push-button start, heated and ventilated front seats, heated second-row seats, a heated steering wheel, and leather seats. 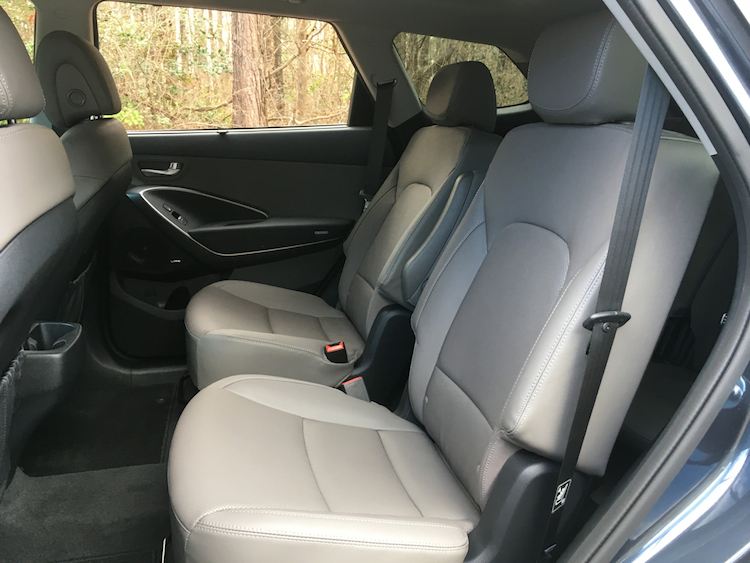 With the second- and third-row seats folded, the Santa Fe XL has 80 cubic feet of storage capacity available. That’s in line with the Ford Explorer (80.7) and GMC Acadia (79.0), but well behind the Chevrolet Traverse (98.2). Standard safety features include a rearview camera, hill start assist, and stability and traction control. Features such as blind-spot monitoring, rear cross-traffic alert and lane change assist, are bundled within a Premium Package ($3,650) offered with the SE trim. This package also brings in front LED fog lights, dual power-controlled side mirrors with turn-signal indicators, a hands-free liftgate, keyless entry with push-button start, leather seating surfaces, heated front seats, manual rear side window sunshades, premiums door sill plates, and a third-row USB outlet. If you want advanced driver-assist features, then the Tech Package ($2,100) available only with the Limited Ultimate model is the way to go. Here, you’ll find smart cruise control with full stop and go, automatic emergency braking with pedestrian detection, and lane departure warning. This package also includes HID headlights, dynamic bending light technology, high beam assist, and an electronic parking brake. 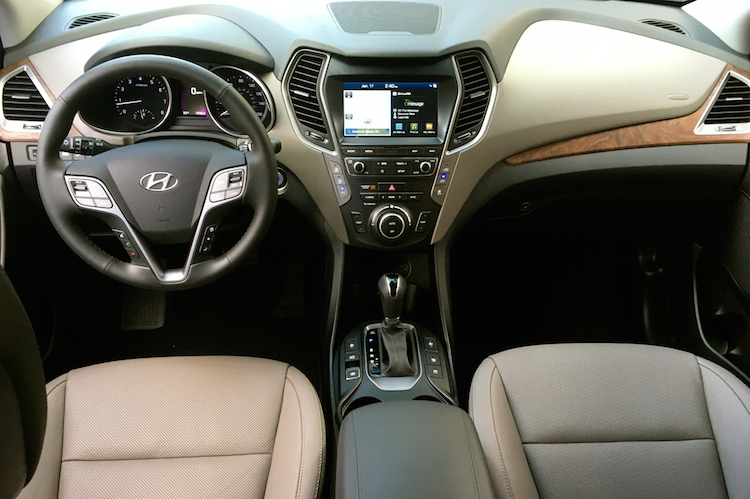 Hyundai equips the Santa Fe XL with a six-speaker audio system, HD Radio, satellite radio, USB ports, and an auxiliary jack. You’ll also find smartphone compatibility with Android Auto and Apple CarPlay. A 7-inch display audio system is also standard. Upgrades include an Infinity audio system, an 8-inch touchscreen with navigation, and a 115-volt power outlet in the cargo area. 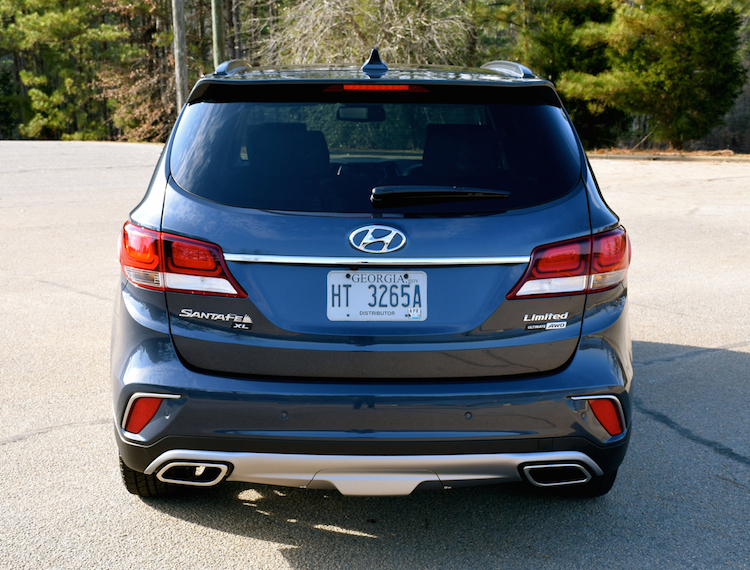 Hyundai has always divided the Santa Fe by more than just rows. 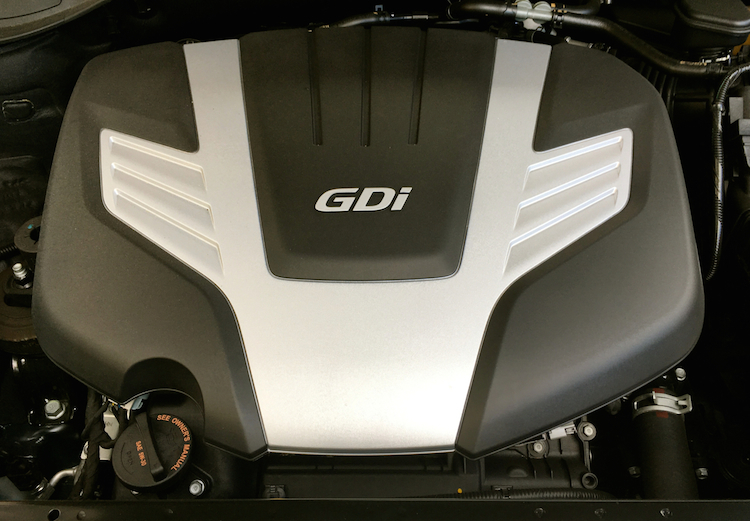 For instance, the two-row variants have four-cylinder engines, while the three-row is powered by a 3.3-liter V6 good for 290 horsepower and 252 pound-feet of torque, making it one of the most power-dense engines available in this segment. Power is routed to the wheels by means of a six-speed automatic transmission. And the V6 gets the job done, as it offers ample step-off acceleration and passing power. There is no boosting at work, so power kicks in early and delivers consistently. The automatic transmission shifts seamlessly and never hunts for gears. We could wish for a more efficient eight-speed, but that’ll have to wait until its replacement model rolls out. Like any crossover, this one has its share of body rolls as you navigate twisty roads or pull out of a turn. On the plus side, the XL supplies a comfortable ride and a quiet interior. It can also tow up to 5,000 pounds when properly equipped. That’s in line with the Toyota Highlander, although 1,000 pounds under the Nissan Pathfinder. As for off-roading, this utility vehicle is designed for light-duty work only. You can tackle the gravel trail, but you’ll want to avoid mud and rocky terrain. So, should you wait for the Palisade or jump in and purchase a Santa Fe XL? If you absolutely cannot wait, the XL delivers the goods and at a reasonable price point. We recommend the Ultimate edition as it brings in everything this model has to offer. Opt for the Tech Package ($2,100) for advanced driver-assist safety features. With available all-wheel drive, your final cost will come in around $45,000, which is before discounting and aligns well with the competition.